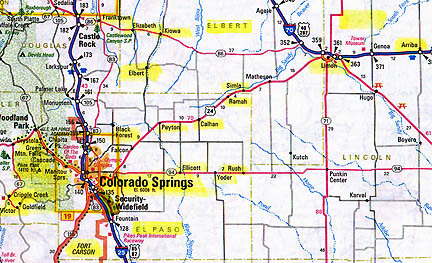 Calhan, Colorado, is on Route 24 near the center of the map. All the yellow-colored areas are sites where I have investigated unusual animal deaths since 1979. 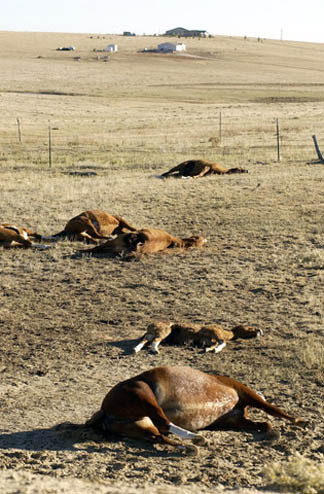 Six of sixteen horses on DeWitt ranch found dead October 22, after six horses and one burro on Sixkiller ranch found dead on October 11, 2005, all near Calhan, Colorado. 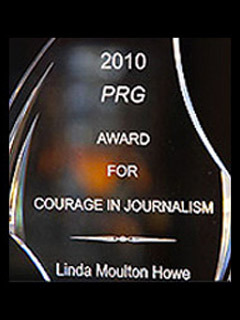 Photograph © 2005 by Chuck Bigger/The Denver Post. 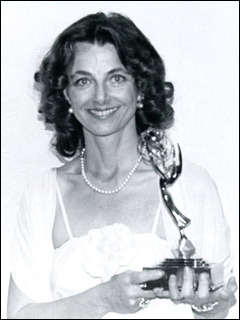 October 27, 2005 Calhan, Colorado – Since October 11, 2005, I have received reports of unusual animal deaths in San Antonio, Texas; Dartmoor, England; and Calhan, Colorado. The San Antonio case is another bloodless half cat. In England, six sheep were found with classic mutilation excisions without blood or signs of struggle. And in Calhan, Colorado, six horses and a burro were found dead on October 11. Then, eleven days later on October 22, sixteen more horses were found dead not far from the first unusual animal deaths. In Colorado, the story began to unfold on the early morning of Tuesday, October 11, when a police officer driving in the ranchlands of Calhan southeast of Denver, saw a dead horse near a windbreak. There had been a two-day blizzard and the snow was thick, except for the ground behind the V-shaped windbreak where the horse was down. Law enforcement contacted the ranch owner, Ned Sixkiller, who got to the scene around 4:30 p.m. that same day. Behind the windbreak there were five female horses of varying ages and one male. A hundred yards away, Ned also found one of his burros. The burro and six horses were dead and had unexplained, bloodless puncture holes in their hides. Adding to the high strangeness, there was one young filly alive without any marks on her, but she seemed traumatized by whatever had happened. Ned Sixkiller, rancher since 1982 in Calhan, Colorado region: “When they autopsied ours, they said it was definitely not a storm-related, blizzard-related death. I had some cattle just south of there two miles and we did not lose any cattle. So, I sure don’t think it was the storm. WHAT DID THE BODIES LOOK LIKE WHEN YOU FIRST FOUND THEM? On our horses, we found some puncture wounds. And the veterinarian and Sheriff’s Dept. at first glance, they said they had been shot. Then after they autopsied them and stuff, they could not find any bullets to go with the puncture wounds. So they don’t have any explanation for any of it. I’M CURIOUS ABOUT WHAT EXACTLY THE SIZES OF THE PUNCTURE HOLES WERE? A quarter-inch hole about the size of a pencil and the one horse that we thought sure it basically had a hole right between the eyes. THE HOLE WAS RIGHT BETWEEN THE EYES? No, it didn’t go through the skull bone, just to the bone. WHERE WERE THE HOLES ON THE OTHER HORSES? I know the blue mare ­ she had a hole right between her eyes. And there were two others: one in her knee and one in her ribs. 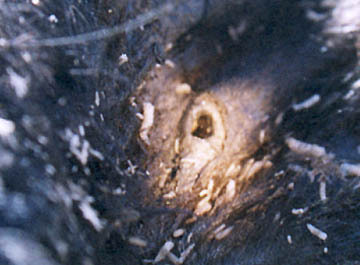 The 2-year-old colt had a mark between her eyes. You know, they (vet/sheriff) thought it was a bullet hole and then they found (otherwise). But she had a mark between her eyes. I don’t know if they thought it was a puncture wound or not. But I did. And then the others was just a variation. Like there was a couple of them in their legs. The little colt ­ no, I don’t think we ever did find anything in her. But by the time they got to her, it was muddy and the snow had melted and it was really hard to tell from where she was laying. As far as I know, there was nothing in her at all. THE BURRO? WHERE WAS THE HOLE IN THE BURRO? It seems to me they found a deal in the burro’s neck or head. COULD YOU LIST FOR ME AGAIN THE SEXES AND AGES? IT WAS SIX HORSES AND ONE BURRO, RIGHT? Yeah, the burro ­ I have no idea how old he would be. There was three brood mares ranging from probably 4 to 10. And there were two weaning colts which would be about 6 or 7 months old now. One was a stud and one was a filly. And there was a 2-year-old female. SO, OF THE SIX HORSES, ONLY ONE WAS MALE. Yeah, there was only one stud colt in there. There was also one filly colt that was alive. She was the same age as the other colts ­ 6 to 7 months old. SHE WAS ALIVE WHEN YOU GOT THERE? DID YOU GO UP AND EXAMINE HER? Yeah, we looked her over good and it was getting close to dark and someone called because that colt was alive there. But there wasn’t anything we could do after dark. The colt wasn’t caught. So it wasn’t until the next morning that we got around and got her caught and got everything looked over. WHAT HAPPENED TO THAT LIVE COLT? We have her here in the corral. DOES SHE HAVE A HOLE IN HER STILL? She never had a hole in her. WHY WAS THAT FILLY UNTOUCHED, I WONDER? No one has any idea about that either. Could Sixkiller’s 6 Horses and 1 Burro Have Been Dropped from the Air Onto Snow? DID IT LOOK AS IF THEY HAD BEEN DROPPED FROM THE AIR? Well, I don’t think so. It didn’t look like that to me. It was just like they laid down. In this deal, the strange part is the way it looks to me that when these horses ended up dead, it was right in the middle of a freak severe blizzard where nobody was going anywhere, you know? YEAH. AND IF THERE WAS A BLIZZARD, WERE THEY LAYING ON TOP OF THE SNOW? OR WERE THEY COVERED WITH SNOW? They had some snow blew up on part of them, but they was pretty much laying on top of the snow. And those V-windbreaks split the snow, so those horses were basically laying on the ground, you know? THOSE V-WINDBREAKS ARE MADE OUT OF WHAT? This was just made out of wood, like boards. SO, WERE ALL 6 HORSES AND BURRO PRETTY MUCH ON THE GROUND BEHIND THE WINDBREAKS? Five of them was and two of them was over in a little draw about 100 yards right next to the highway. IN THAT DRAW, WERE THEY ON TOP OF SNOW? SO THAT WOULD SUGGEST THAT WHATEVER IT WAS THAT KILLED AND PUNCTURED THESE ANIMALS, IT OCCURRED SOMEHOW AFTER THE BLIZZARD? After, or maybe it snowed a little after they were dead. I think that’s what they said. HOW LONG DID THAT STORM LAST? It started snowing on Sunday evening until Monday evening around 8 p.m.
YOU FOUND THE ANIMALS AROUND 4:30 P.M. TUESDAY, OCTOBER 11. WERE YOU INSIDE OF YOUR RANCHHOUSE DURING THAT WHOLE BLIZZARD? Yes, and it’s probably 1.5 miles from where these horses (and burro) were. No, all you could hear was the wind. We lost power at 9 o’clock on Sunday evening and it never came back on until 4 p.m. Monday. WHY JUST THE PUNCTURE WOUNDS? DID THE VET OR SHERIFF MAKE ANY COMMENTS? Eleven days later on October 22, 16 more horses were found dead on the William DeWitt ranch not far from the Sixkiller pastures. The same veterinarian who investigated the horses and burro also examined the 16 horses. He is Dr. John Heikkila, (HAY-cue-luh) D. V. M., who has worked in Colorado since graduating from Colorado State University in 1990 with his veterinarian degree. He told me this week he thought the 16 DeWitt horses were from lightning strike in a storm that occurred around October 18 to 19. But the six horses and burro on the Sixkiller ranch have him completely baffled because the puncture holes are unexplained and so is the lack of blood clotting in the hearts, veins and arteries of the animals he examined. 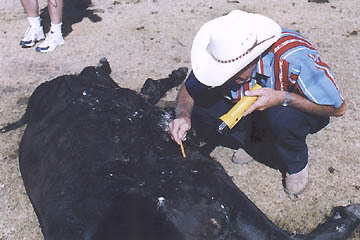 John Heikkila, D.V.M., Veterinarian in Calhan region since 1982, Calhan, Colorado: “At present I do not have any explanation for the puncture holes in the Sixkiller horses and burro. Again, the description of them: they were about a quarter-inch puncture through the skin. 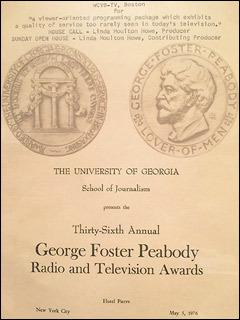 When the skin was reflected and your analogy of a hole punch or paper punch ­ the inside was a perfectly round hole, approximately one-quarter inch in diameter and that’s on the inside of the skin. I had a bruise immediately underneath. Of course, we suspected gunshots immediately and called the Sheriff’s Department. And we were suspicious of some crime because of the number of horses in close proximity. Once the Sheriff’s Department got there, I dissected the bruises and this initial puncture wound was over the skull of this horse (mare). Once you dissected the bruise off, there was not any wound or mark on the skull plate itself to be found. I also found additional puncture wounds on the hocks (legs) and in the same instance, had a bruise that might extend half to three-quarters of an inch in depth. But no damage to bone or tissue any deeper than that. In one knee of a horse, I did remove that (hole) and took it in for x-ray looking for lead fragments and there were no indication of lead fragments in that x-ray. HAVE YOU EVER SEEN ANY OF THESE HOLES WITH THE BRUISING? THIS IS THE FIRST TIME? And I’ve been in the area over in Limon since 1992 and I’ve never observed those holes there either. Could Unidentified Puncture Holes Be Biopsy Punch Samples from Hide? HAVE YOU AS A VETERINARIAN EVER TAKEN A BIOPSY SAMPLE FROM AN ANIMAL AND DONE THE BIOPSY WITH SOME KIND OF PUNCHING TOOL THAT WOULD LEAVE A HOLE A QUARTER-INCH BY AN INCH DEEP? Certainly, there is a biopsy instrument ­ a punch graft for punch skin grafts. That’s about the size of the punch skin graft biopsy instrument. THAT WOULD BE LOOKING ONLY FOR SOMETHING IN THE HIDE OF AN ANIMAL? Yes, in the immediate skin or more specifically, you are generally taking that punched piece of skin and transplanting that over to a wound area to try to get simulation of epitheliation and healing. THE HOLE, THE ROUND PIECE OF TISSUE, WOULD BE USED TO GENERATE TISSUE ON SOMETHING THAT HAD BEEN BURNED OR HURT? Yes, in a burn wound or an extensive scarring over granulation tissue, in particular in horses. Normal healing, you form granulation tissue and then the skin in regeneration, you have epitheliation migration of the epithelial cells. I crossed that granulation tissue from the skin margins, but all part of normal healing. 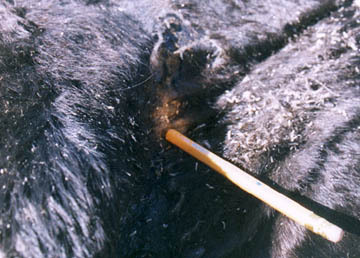 In a large wound, to speed up the healing or in one where epitheliation has been inadequate, you can take an autogenous graft from an animal, take a punch biopsy and put that in the granulation tissue embedded in the granulation tissue to get epitheliation all across the scar or wound area. WHICH WOULD BE LIKE A SKIN GRAFT? Yes, essentially it’s a skin graft. SO, THE ONLY ANOMALY ON THE SIX HORSES AND BURRO AT NED SIXKILLER’S, FROM YOUR POINT OF VIEW, ARE THE HOLES WITH BRUISING? That and lack of coagulation in the blood. HOW DID THE SIXKILLER ANIMAL DEATHS COMPARE TO THE 16 HORSES ON THE DE WITT RANCH? Mr. Sixkiller’s ­ I do not think that is lightning strike at all. But Mr. De Witt’s, I do think that is lightning strike. WHAT IS THE STRONGEST EVIDENCE ON THE DE WITT RANCH THAT IT WAS LIGHTING STRIKE? A lot of the positioning of the horses showing sudden strike is real consistent. Also, advanced rate of decomposition of the tissues. A couple of suspected burn marks, but not confirmed. And the rupture of ocular globes with remaining tissues. Essentially the vitreous fluid of the eye boiled and boiled out. SO, THE EYE TISSUE IS THERE AND NOT COMPLETELY CUT OUT AS IS THE CASE IN THE LARGE ANIMAL MUTILATION MYSTERY? The tissue was there. I initially on a first walk by thought there was a lot of bird predation on the carcasses and typically birds will clean the eye out down to the bone. On the return and getting closer evaluation, I did find tissue collapsed into the eye socket in each and every case where the eye was ruptured. WAS THAT IN ALL 16 HORSES? “HAVE THERE BEEN ANY OTHER CASES OF UNUSUAL ANIMAL DEATHS IN EL PASO OR ELBERT COUNTIES THIS YEAR? Ned Sixkiller: “Oh, yeah, there was another horse that come up dead. And then down in Ellicott like earlier, and that’s what they said about it. If I remember right ­ they sure said that horse had been shot. But according to what I understand, they did not find any bullets in it either. And then there have been quite a few horses around ­ you get to talking with people that’s come up with a dead horse that’s unexplainable. They never thought much about it, but it just died. It was kind of strange that it died because there wasn’t anything wrong like that morning and they just found him dead that night. HOW MANY OF THOSE CASES, DO YOU THINK? Today I was looking at my old maps I used during my television documentary, A Strange Harvest (See: Earthfiles Shop) to investigate the animal mutilation mystery in Colorado beginning back in September 1979. Calhan, Colorado was one of the places where animal mutilations kept repeating in cycles since at least the early 1970s. I remember several discussions with Colorado law enforcement about quarter-inch wide by one-inch deep bloodless holes in the neck, brisket or legs that one sheriff back then referred to as “biopsy punches.” Why are some pastures and towns such as Calhan the target of the unusual and repeating animal death phenomenon more than others? Maybe lighting did kill the sixteen horses on the William DeWitt ranch. But could Something non-human have been involved in the Ned Sixkiller incident that took the lives of six horses and one burro without a clear cause of death? What made all those puncture wounds? Why was the blood in the animals not clotting? 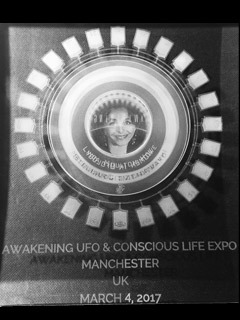 If extraterrestrial biological entities are truly responsible for global unusual animal deaths, what is the agenda? No one yet seems to have that answer, but in documents leaked to Bob and Ryan Wood over the past decade, there are references to animal parts being found INSIDE at least one wedge-shaped craft that came down or crashed near the Trinity Site at White Sands Missile Range in early July 1947. Ryan has been working for some time on a new book based on direct and circumstantial evidence that beyond Roswell, there were at least 73 other UFO crashes and retrieval operations by the U. S. government and others. 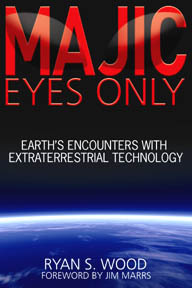 Ryan’s new and important book is entitled, MAJIC Eyes Only: Earth’s Encounters with Extraterrestrial Technology. 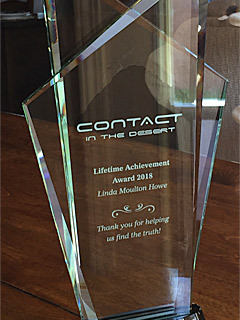 The book will be released next weekend, November 4 to 6, at the 3rd Annual UFO crash/retrieval conference in Las Vegas, at the Embassy Suites Hotel and Convention Center. I will also be presenting information about an early 1950s crash I have not discussed before. For conference tickets, go to www.majesticdocuments.com. This week I talked with Ryan about the 74 UFO crash retrievals that unfold chronologically in his book and the fact that in 1947, in addition to Roswell, there were seven other cases ranging from Arizona to Washington State, Kiev in the Ukraine and the nation of Mexico. I asked Ryan why he thinks our American government has worked so hard to keep from the public and media what its learned concerning a non-human presence interacting with our planet? 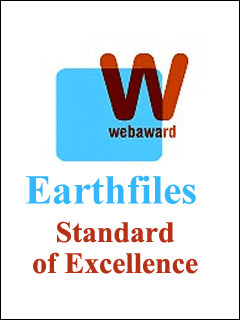 Ryan S. Wood, Owner and Producer, www.majesticdocuments.com, President, Plugloads, energy conservation equipment solutions and author of MAJIC Eyes Only: Earth’s Encounters with Extraterrestrial Technology, Broomfield, Colorado: “In my mind it goes back to authority: who is really in charge? Telling the truth and explaining things could create all sorts of social, religious, political turmoil and they can do studies and better understand the implications of what would happen if they told the truth. But it would be an inflection point in history like 9/11. We saw 9/11 happen, but we had no idea how the events of the future years would unfold and the aggressive war on terror and the invasion into Iraq, if it was even linked. The same thing is true here with the UFO truth ­ if they were to share part, it would take a few years and then the flood gates of information would open and trust in our government would continue to dwindle. They don’t know where it would go. BUT THEY ARE LIVING A LIE AND HAVE BEEN LIVING A LIE SINCE AT LEAST THE ROOSEVELT ADMINISTRATION. BUT WHEN DOES SUSTAINING A HUGE LIE BECOME MORE DESTRUCTIVE THAN A POLICY OF DENIAL IN THE INTERESTS OF NATIONAL SECURITY? 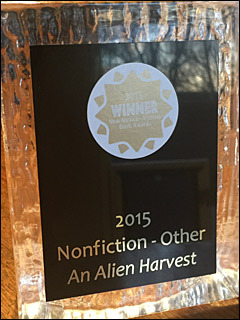 For more cases about unusual animal deaths, please see my books An Alien Harvest and Glimpses of Other Realities, Volumes I and II in the Earthfiles Shop. 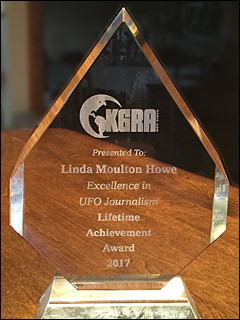 Linda Moulton Howe – “I was especially interested in seeing the two small holes in the cow’s chest that Larry Jurjens found on August 19. I brought along a yellow pencil about one-quarter of an inch in diameter to see if it would fit in the holes. Larry was quickly able to find one of the two holes he had puzzled over and it was too small for the pencil to enter. Previous PostPrevious H5N1 Bird Flu – The Next Pandemic?